I’m a little late on this one, but I couldn’t help but offer my two cents on the most recent signing by the Toronto Blue Jays. So let’s dive into it, shall we? It’s important to note that, as of this writing, the deal isn’t finalized as a physical is pending. However, should the signing become official, Buchholz will be on a 1 year deal and earn somewhere in the neighborhood of $3M with another $3M in incentives. Although, on paper, this is a solid addition to the Jays’ rotation, I get why this may be a bit emotionally conflicting for fans of the ball club. During his time as a member of the Boston Red Sox, there was no love lost between Buchholz and Jays fans, as well as a certain SportsNet media personality. Recall back in 2013, former Toronto Blue Jays pitcher and also former radio personality of The Fan 590, Dirk Hayhurst, accused Buchholz of doctoring the baseball during an outting between the Jays and Sox. Forget the hair, I just saw video of Buchholz loading the ball with some Eddie Harris worthy slick'em painted up his left forearm. Wow. I mention this, not to open up old wounds and get the fanbase heated about things from the past, but to remind fans that this is ancient history. I highly encourage anyone that is holding on to this and using it as fuel to dislike the signing to quickly let it go. Whether it was true or not is irrelevant at this point and should be left in the past. The way I see it, if Buchholz is able to maintain the pace he was on last season, it’s a very good signing for the Blue Jays. Buchholz signed a minor league deal with the Royals, who cut bait with him early in the 2018 season. He was scooped up by Arizona and proved to be a robust addition for the team. 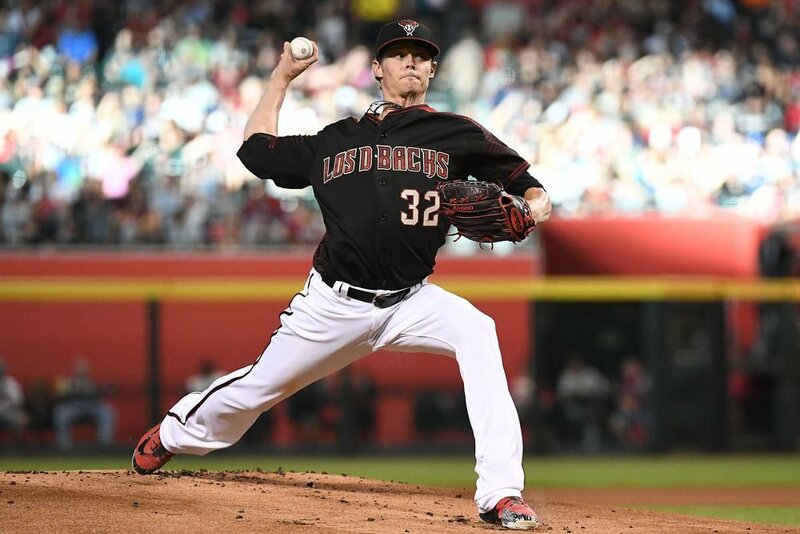 With the Diamondbacks, Buchholz put up a 2.01 ERA with 81 K’s, 22 walks, coughing up 25 runs, going 7-2 over 16 starts. The numbers are encouraging, but his health may not be as the injury-bug has been a reoccurring issue. His most recent struggle came towards the end of last season as he was shut down in September with a flexor mass strain in his throwing arm. Yet, if he gets the nod by the medical staff and he’s ready to go, it’s hard to knock the signing. Prior to this signing, the starting rotation consisted of (in no particular order) Sanchez, Stroman, Shoemaker, Richard, and Borucki, with Sean Reid-Foley being the defacto No.6 starter should an injury to one of the aforementioned players occur or is in need of rest. Assuming that Buchholz gets the all-clear and doesn’t start the season in Buffalo (which, he may), one of those five pitchers is going to get knocked out of the rotation. As summed up perfectly by Gregor Chisholm, I’m hoping that the one getting the short end of the stick is Richard and not Borucki. I get that Richard has the veteran advantage over Borucki to get the nod for the starting gig, and it’s not unreasonable to think that the front office may want the latter to get more polished in Buffalo before being a rotation mainstay. But it would be peculiar to me if the Jays pursued Buchholz for this reason and not to maximize their potential to win games. Signing Buchholz is a low rish/high reward type of move that adds some much needed stability to an already questionable rotation. Why add such stability if the Jays are not going to remove the player that, ostensibly, is the weakest link? For me, Borucki has earned the right to have a spot in the rotation and ought to keep it until he proves otherwise. Richard, on the other hand, is more of a question mark and may be served best coming out of the bullpen. Hopefully the front office agrees. It’s something to keep an eye on during the spring, but I’m hoping that this signing doesn’t shake things up too much. Otherwise, it’s a solid signing that is almost inconsequential for the Jays. Like I said, at around $3M, the risk is incredibly low while the reward is quite high. If he can recapture the magic he had in Arizona and pitch that way for the Jays, I’m all for it. Again, much like the other signings the front office has made since they arrived, he could also be a nice little trade chip come July to add more depth to an already strong farm system.